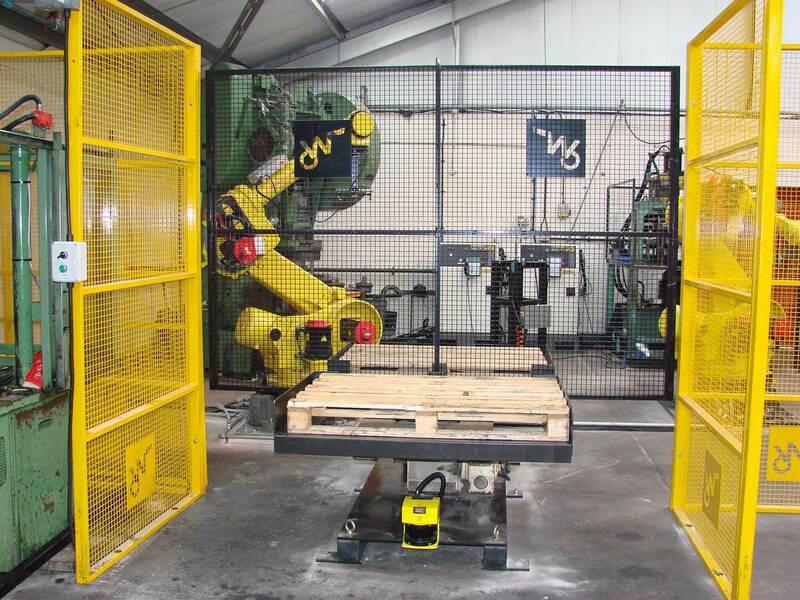 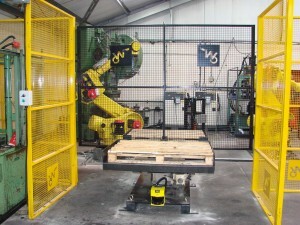 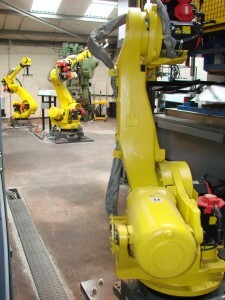 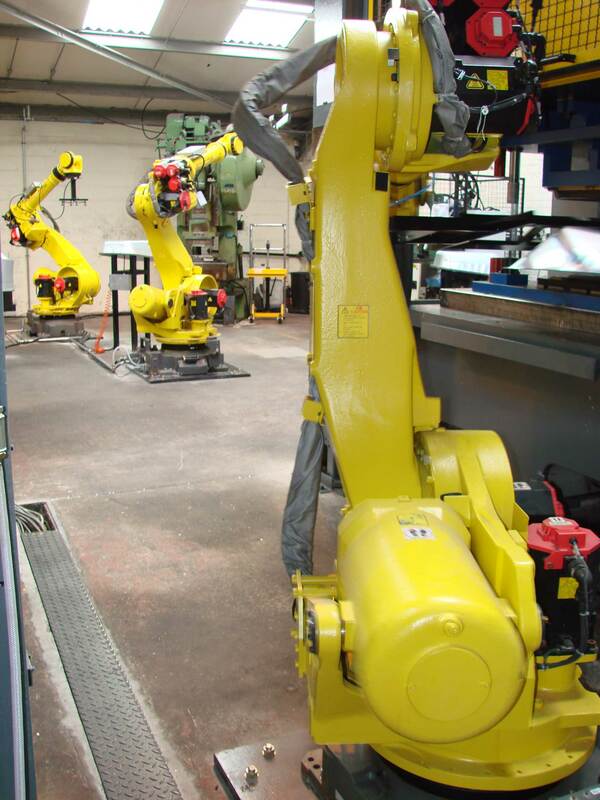 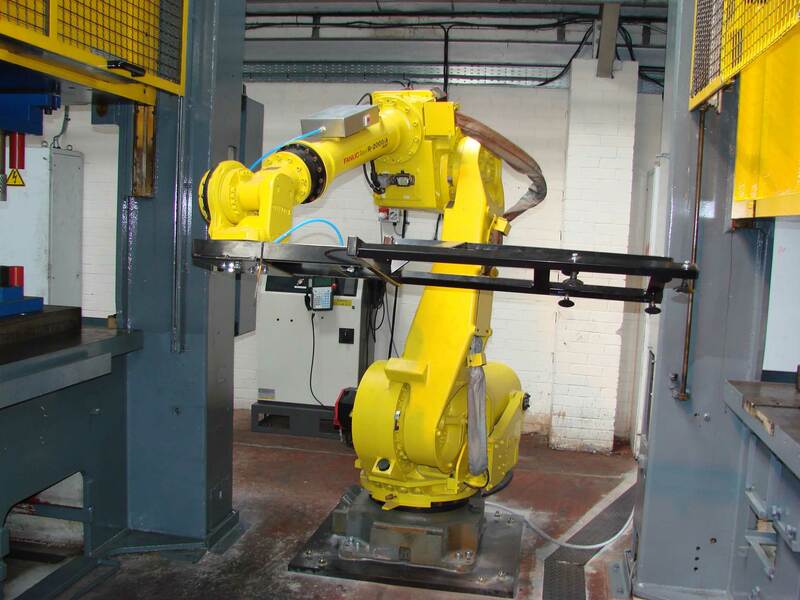 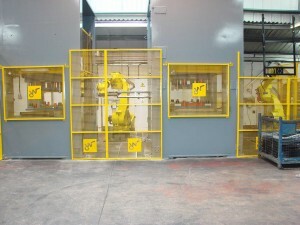 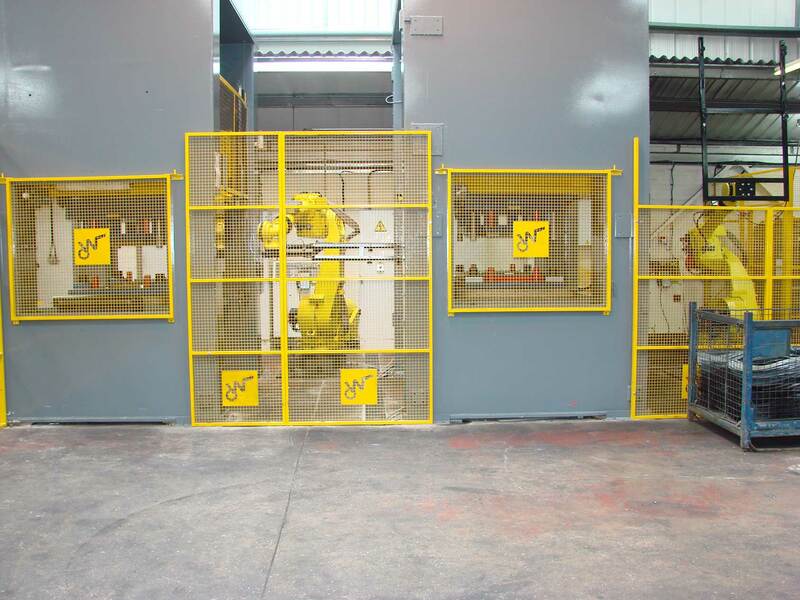 Robots collect the initial formed pan from a press, move it into a trim press and dispose of the scrap. 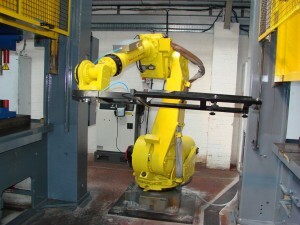 The formed part then gets moved through another two presses to complete the forming. 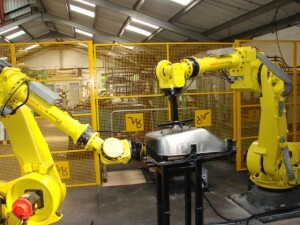 The 6th robot stamps the logo onto the sides and stocks the completed pans.